Winding through the Ravine, the Loch, Scottish for "lake," is partially fed by a natural watercourse, known in the 17th and 18th centuries as Montayne's Rivulet. It flows under Glen Span and Huddlestone arches before connecting to the Meer. 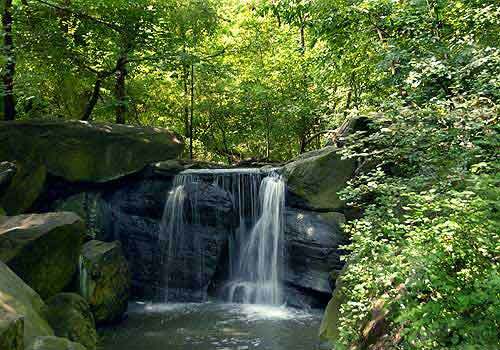 The stream, designed by Frederick Law Olmsted and Calvert Vaux, is dammed in several places to create three magnificent cascades, some of the greatest features of engineering and art. Mid-Park just north of 102nd Street.